The treatment improved the men's quality of life by an average of 60 percent (according to a questionnaire they completed before and after the study). And if the technique is replicable on other people, it could help reduce the social stigma and health risks linked to frequent catheter use. 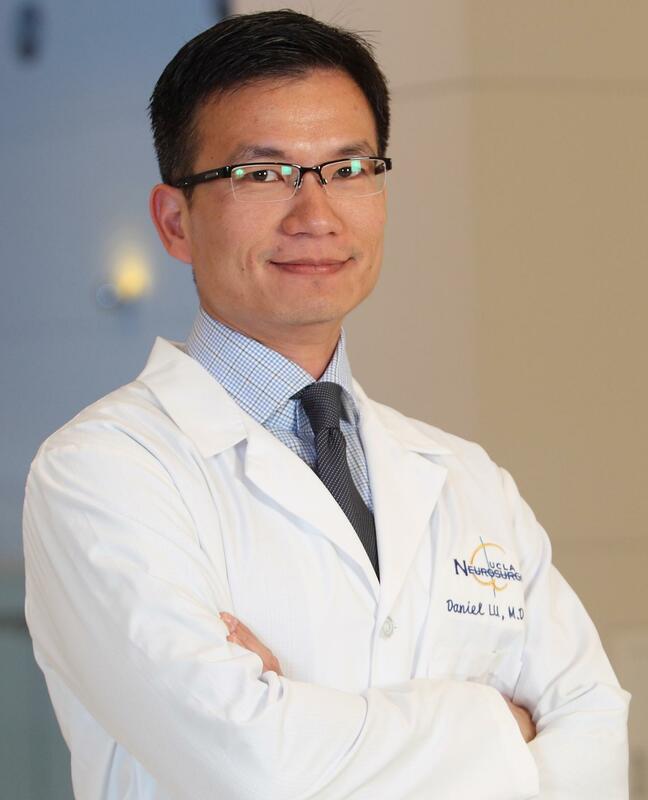 "We were excited to see a positive effect in all five patients after only four sessions of mild magnetic stimulation," said Dr. Daniel Lu, the study's principal investigator and an associate professor of neurosurgery at the David Geffen School of Medicine at UCLA. "The benefit persisted from two to four weeks, suggesting that the spinal cord's neural circuitry retains a 'memory' of the treatment." The timing of the men's spinal-cord injuries ranged from five to 13 years ago. Relying on a catheter long-term can be dangerous, because the procedure can introduce bacteria that lead to urinary tract infections and permanent scarring. Bladder problems after spinal cord injuries can also lead to kidney failure and death. Lu hopes his laboratory's research will ultimately reduce those risks by eliminating the need for catheters. "Most spinal cord injuries are not anatomically complete; the spinal cord retains a weak, residual connection with the brain," Lu said. "We are restoring bladder function by amplifying these faint signals and enhancing the spinal circuits' ability to respond to them." "All five of the men regained the ability to urinate on their own during stimulation," Lu said. "In one case, the patient was able to completely stop using a catheter and empty his bladder several times a day, up to four weeks after his last treatment." The patients' average bladder capacity increased from 244 millimeters to 404 millimeters, and the volume of urine they produced voluntarily rose from 0 to 1120 cubic centimeters per day. The experiment built upon Lu's earlier research, in which he surgically implanted electrical stimulation devices in the spine to improve hand control in two people with cervical spinal cord injuries. While the concept for the new study is similar, Lu's team used magnetic stimulation because it's noninvasive, painless and less costly than an electrical implant. Lu's laboratory plans to evaluate the approach with a larger number of men and women in a second study to gain a deeper understanding of how magnetic stimulation alters neural activity in the spinal cord. His team will also explore whether different stimulation patterns improve responses in patients who didn't benefit to the same degree as others in the study. The U.S. Department of Defense and H&H Evergreen Foundation funded the study. Lu's coauthors are Dr. Tianyi Niu, Dr. J.C. Leiter, Dr. Carol Bennett and Tina Keller, all of UCLA.